I'm just getting started on the Halloween decorating. It's my favorite holiday, but vacation set me back a bit on making over the house. 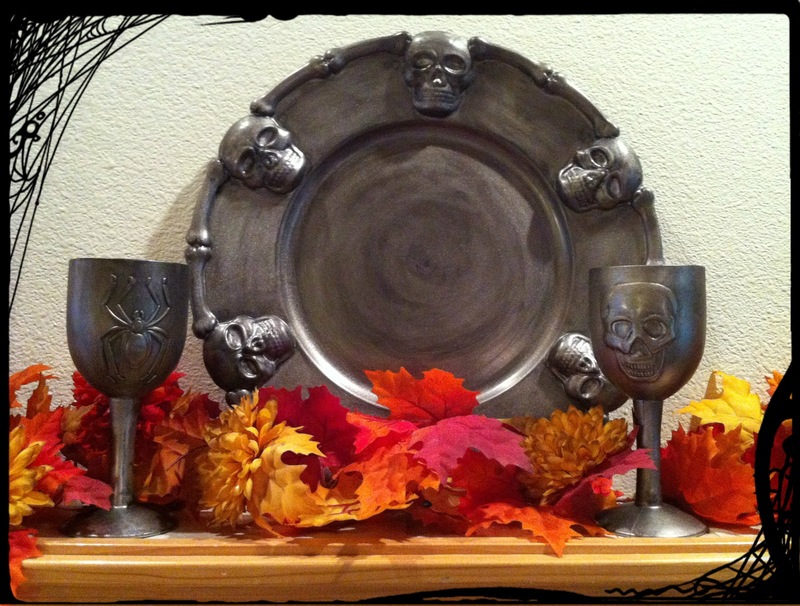 I did manage to find my evil pewter for the mantel. 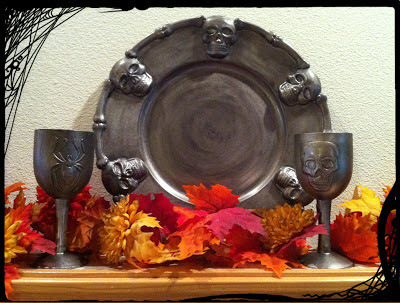 To find fine pewter like this you have to shop at only the best stores. I prefer Le Dollare Store. A tutorial from House of Dewberry helps too! She makes the most awesomest Halloween decor with everyday, inexpensive supplies! 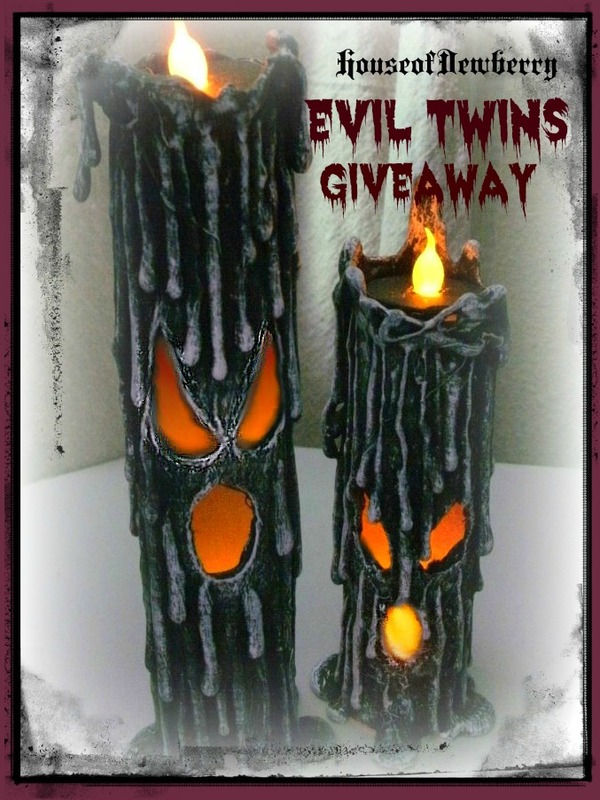 Check out the Evil Twins Giveaway! I'm also busy working on my D.C. Journal. It's going to take some doing! We saw & did a TON of AWESOME things! 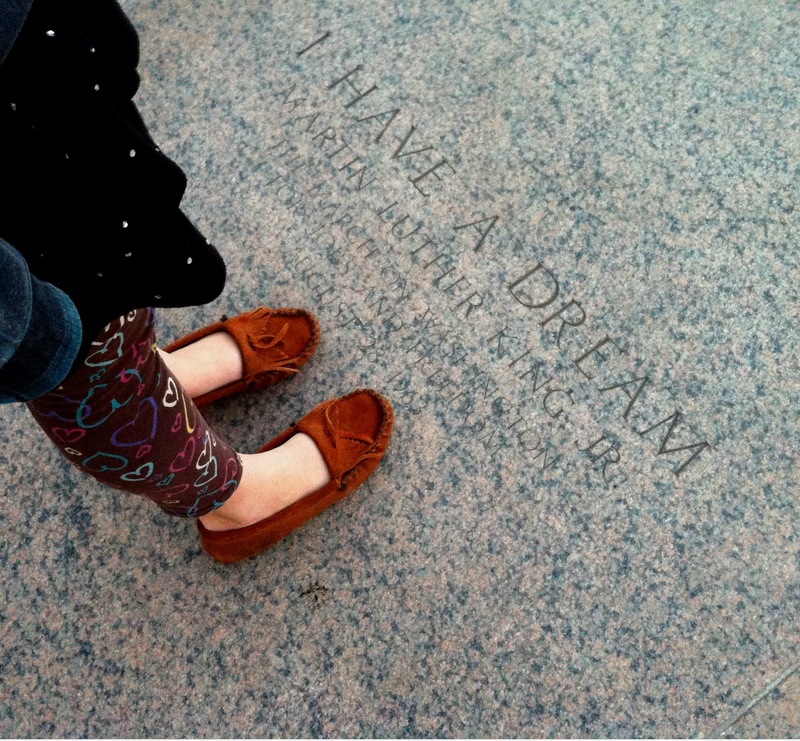 Addie was quite awestruck at standing right where MLK stood during his "I Have A Dream" speech. She's seen it in film clips in school, but being there was pretty dang cool!